The red king crab is the largest species of king crab. 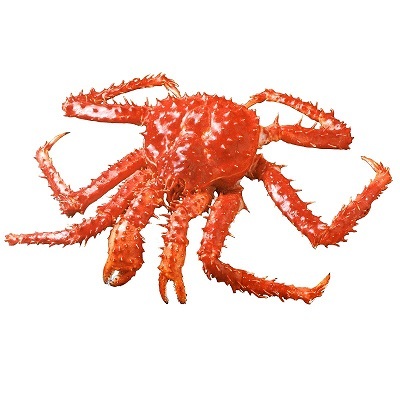 Red king crabs can reach a carapace width of up to 28 cm (11 in), a leg span of 1.8 m (5.9 ft), and a weight of 12.7 kg (28 lb). Males grow larger than females. Today red king crabs infrequently surpass 17 cm (7 in) in carapace width and the average male landed in the Bering Sea weighs 2.9 kg (6.4 lb). It was named after the color it turns when it is cooked rather than the color of a living animal, which tends to be more burgundy.